Eyebrows are one of the most important features, they express so much emotion and also structure and frame the face so having ‘brows on fleek’ is never a bad thing! 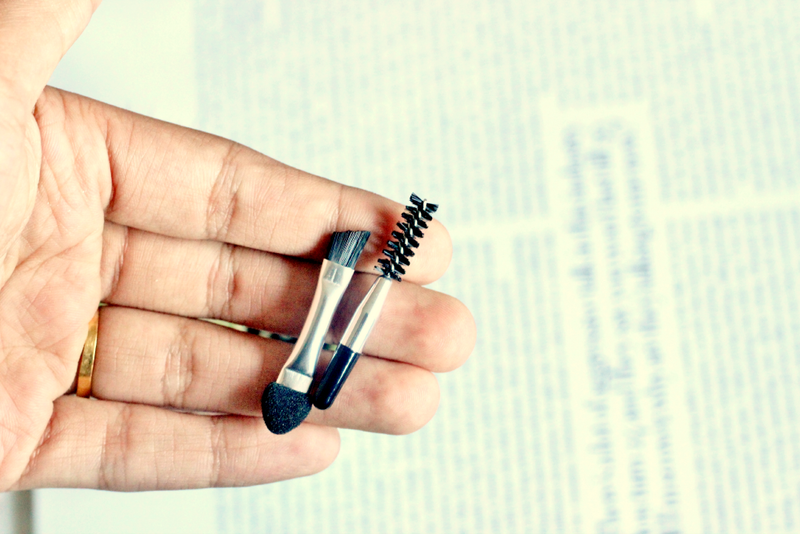 There are so many brow products on the market, with different price points too. However I had never seen such a useful kit until I got my hands on the Kiss Beautiful Brow Kit* which claims its ‘the ultimate brow bar’. 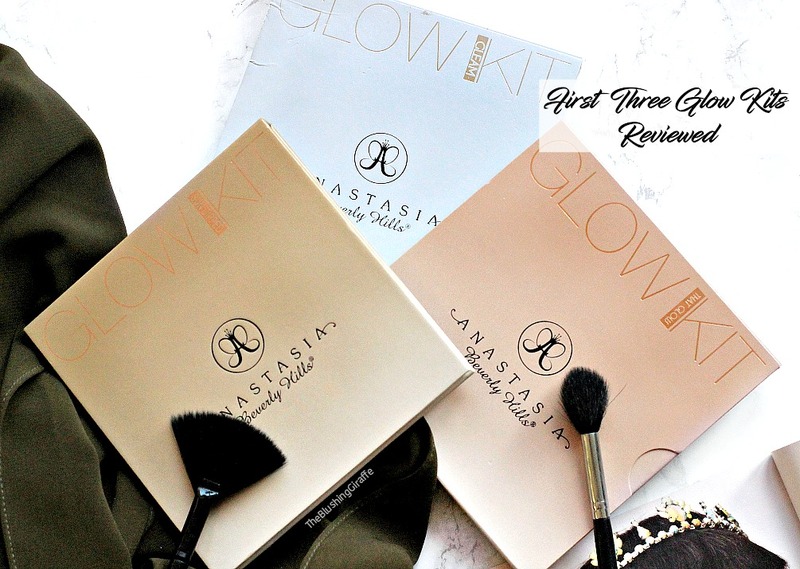 The kit is designed to give you perfectly defined brows without much effort at all and I am thoroughly impressed with how much they have included. 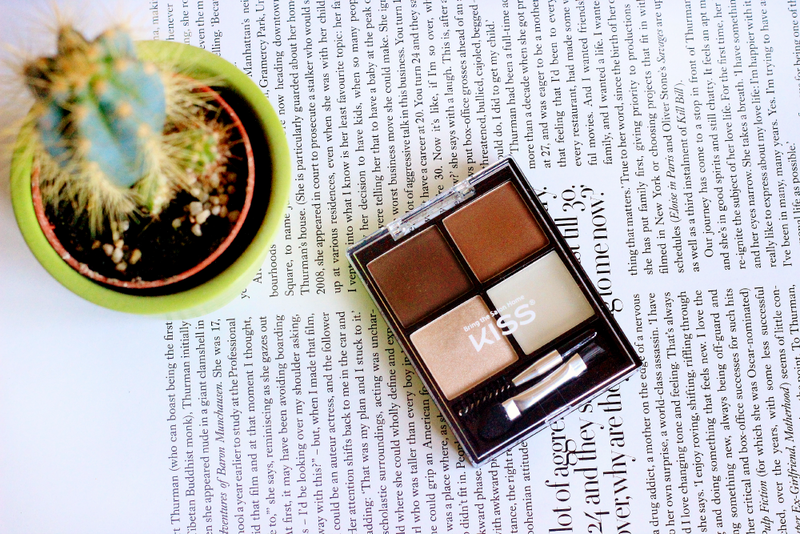 In the kit you get a brow palette which has a dark brown and a light brown shade. I’m pleased to report that mixed together they work really well, I was a bit worried I’d end up with super dark eyebrows but that wasn’t the case at all. The fact that there are two shades included is brilliant for more natural looking brows as you can use more of the light shade near the front of your brows and the dark shade on the end. 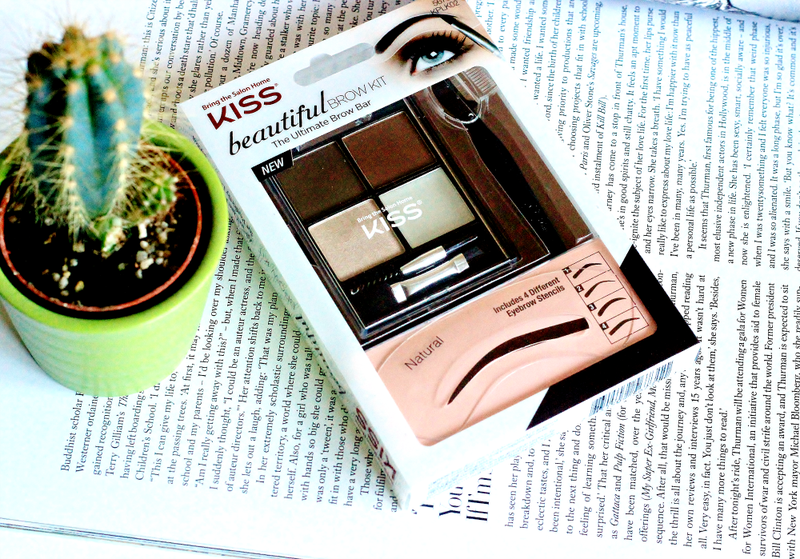 There is also a shimmery shade which works decently as a brow bone highlight and an inner-corner shade too. The final square in the palette is a brow wax, always a useful bonus as nobody wants their brows to migrate halfway through the day! The tools are super mini, but they work impressively well. I didn’t expect such small brushes to do a decent job, however the angled brush side is thick enough to draw lines and small enough to not over-do it. The spoolie is also great at making the brow hairs lie in a uniform direction and also take away any excess powder if you have over-done it. There is also a mini razor included which is the reason why they can write ‘painless’ as there is no tweezers included in this! The razor is surprisingly sharp and I’m sure it’ll work well on the eyebrow hairs. Personally I don’t remove hair from my brows but I did try it a little on my arms lol and it worked out better than I expected. 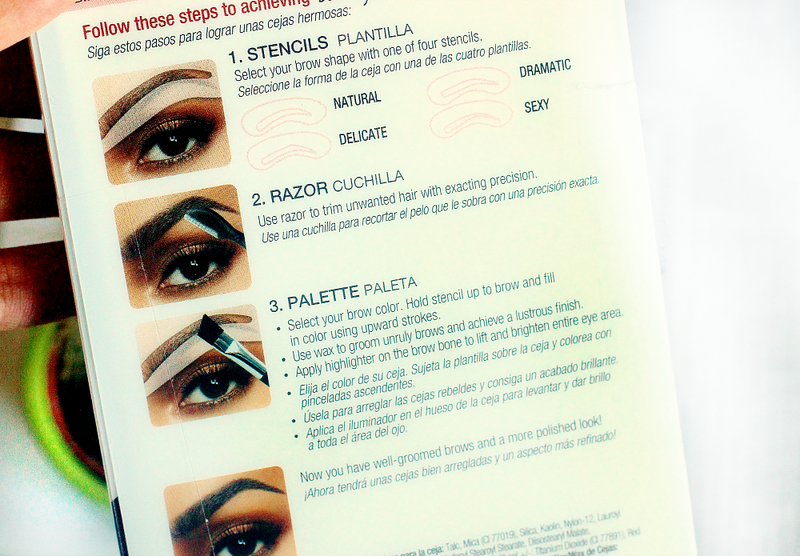 Finally this kit includes four stencils, which I was most intrigued to check out! The four shapes are pretty different and I hope the above picture gives you some idea of the shapes. I have to say I wasn’t expecting much at all from this step, however much to my intense surprise, INTENSE GUYS because really I didn’t expect them to work out for me AT all, the stencil in the style ‘dramatic’ worked a treat! At first it was a little awkward holding up the stencil, however once I got it positioned it was super easy to fill in the area and when I removed it my brows looks so much neater than usual. I’m in no way a brow expert but I kinda just assumed these stencils would only be good for beginners to makeup...but no it made a remarkable difference and I think I’ll be busting these out for those special occasions where I really want my brows to be looking sharp and defined. On the back of the pack there are three steps to follow, to be honest I don’t think they make a whole lot of sense to go through them in that order. I mean how can you remove hair after you’ve selected a stencil? It make a lot more sense to select a stencil, fill in the brows and THEN remove the excess hairs right? Also I think it’s missing one vital element...a mirror! For brows on the go, mirrors are essential but I normally carry one or two with me anyway so its not such a biggie. Pros: This is literally the most full packed brow kit I have seen! Normally when I’ve seen brown stencils they’re sold separately so to me this is great value for money. Between the four shapes at least one should fit most people and much to my delight it actually made a good difference - my brows looked sharper, more defined and honestly they really exceeded my expectations. The two shades of powder mean the kit is versatile, it’ll work for a lot of people and the razor is great for removing hairs without any pain. 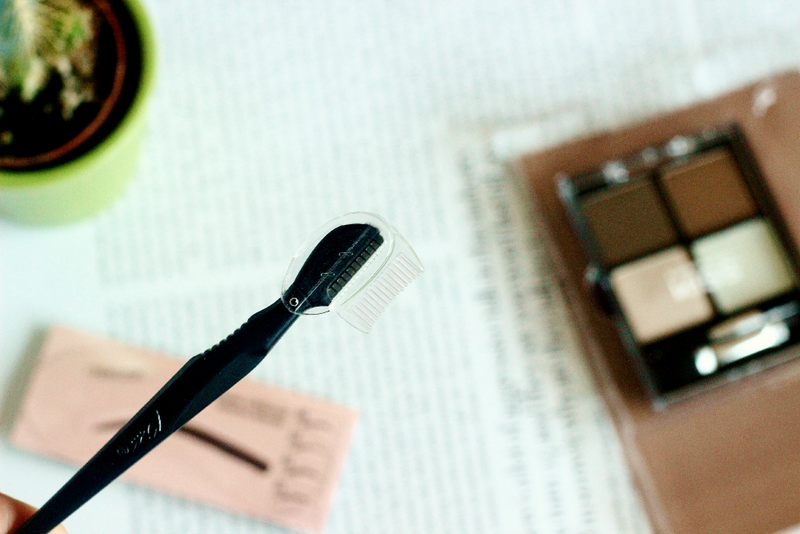 The brow brush works well and so does the spoolie, what more could one ask for? Cons: For those of you with light hair this particular kit won’t be of much use! Also I do wish they included a little bag or pouch, to put all the bits in. I’ve managed to misplace two of the stencils very quickly. Repurchase? Yes I do think this is worth the money and using powder on the brows after a pencil or pomade for so long really gives the brows a softer, natural look. However as I already have the stencils now I probably wouldn’t buy the whole kit again.